The Pawn Shop for Motorcycle Title Loans Mesa TRUSTS! Get quick and easy cash NOW! Motorcycle Title Loans are a great way to get fast cash. At B And B Pawn And Gold, we offer motorcycle title loans on all types of Motorcycles with an Arizona Title. We will make you a cash offer cash for one of our Motorcycle loans with no credit check. Our Motorcycle Loans are an asset backed cash loan so the value of the loan is determined by the value of your motorcycle. This enables us to offer you a title loan without any credit checks. In fact, all you really need to do is to bring in your motorcycle, valid drivers license and a clear title. We are able to process motorcycle loans within a matter of minutes and have you on your way with the cash you need. These cash loans are very user friendly and they offer much more desirable terms than other loans which boast extremely large interest rates. We are also able to provide safe, secure, insured storage for your motorcycle when necessary. Motorcycle Title Loans are a great way to get fast cash. At B And B Pawn And Gold we offer cash loans on all types of Motorcycles with an Arizona Title, also the fact that you can get same day cash with our Motorcycle title loans with no credit check is another great benefit. Our Motorcycle Title Loans are an asset backed cash loan – that means that the value of the loan is determined by the value of your motorcycle (from recognized 3rd party appraisal guides); this enables us to offer you a title loan without any credit checks. These cash loans are very user friendly and they offer much more desirable terms than other loans which boast extremely large interest rates. Also, as a perk, we pawn motorcyle helmets too. So if you need that extra ‘OOMPH!’ in money, bring your motorcyle helmet in too!We are also able to provide safe, secure, insured storage for your motorcycle when necessary. 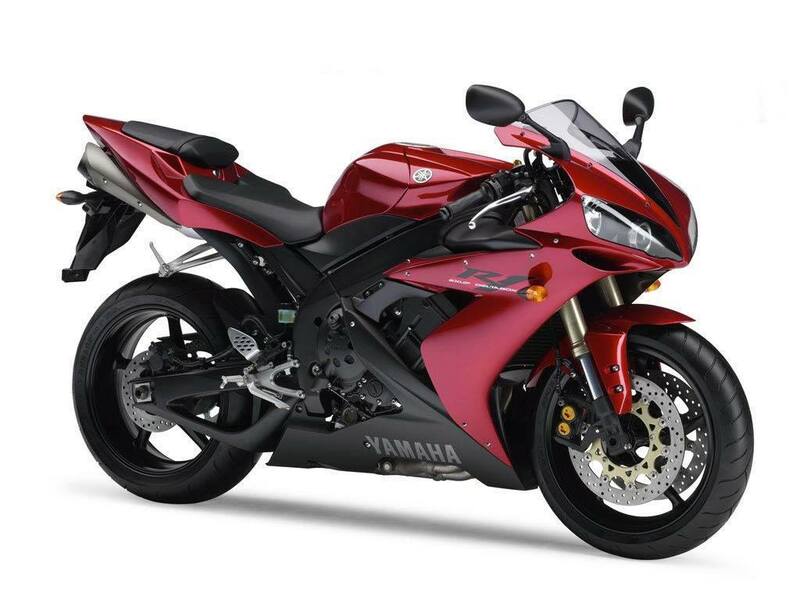 Our title loans are faster than this Yamaha YZF-R1! These brands are not exclusive, we can write out motorcycle title loans on any and all motorcycles. If you don’t see your brand here, don’t leave our website! Just bring your motorcycle down to our Mesa location and we can get you the cash that you need. Even if you’re unsure, then just call us, but there’s very few cases where we can’t serve our customers to the fullest extent. Have a few more questions on motorcycle title loans Mesa residents? Head on over to our lender’s page on Motorcycle Title Loans!